It's the last day of school, and Max wants to catch the eye of Roxanne, one of the more attractive girls in school. But how can you be cool when your dad's Goofy? Stage an impromptu concert at the final assembly, that's how! Or at least it sounded good until Principal Mazer found out. 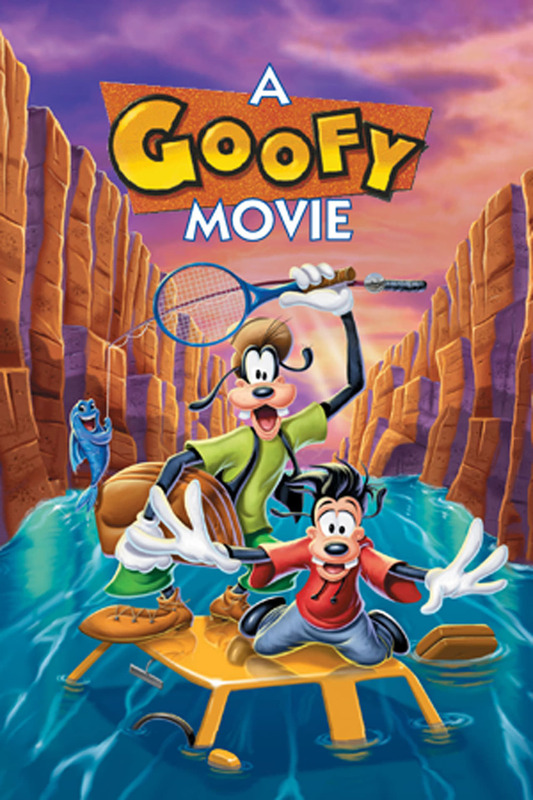 Goofy finds out about his son's antics (sort of), and decides a fishing trip, like his dad took him on, is the solution. Of course, he doesn't know that Max finally lands a date with Roxanne for a party thrown by the class valedictorian. Through the movie, Goofy tries to bring Max out of his shell, while Max resents being taken away, and lying to Roxanne about the trip (he tells her he & his dad will be appearing on TV at the PowerLine concert in LA). Will Max sink or swim? Will Goofy goof up his son's first shot at romance? Will Bigfoot step back? And what about those nuns?